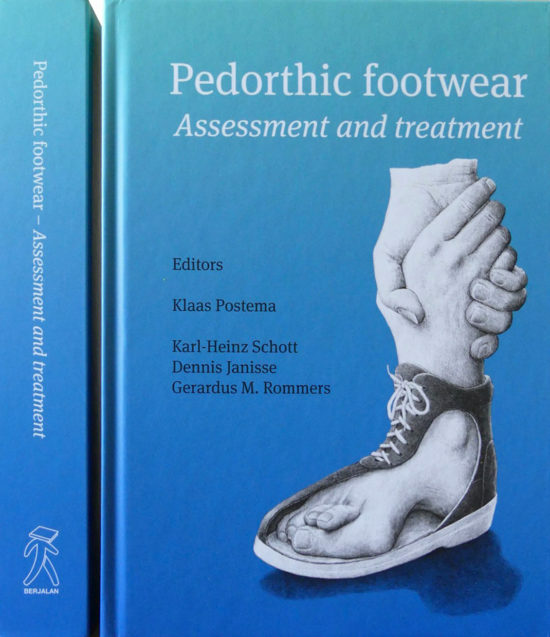 Pedorthic Footwear: Assessment and Treatment, a 578-page resource with 550 illustrations, is the result of an ambitious and unique collaboration of international authors and is edited by Klaas Postema, Karl-Heinz Schott, Dennis Janisse, and Gerardus M. Rommers. 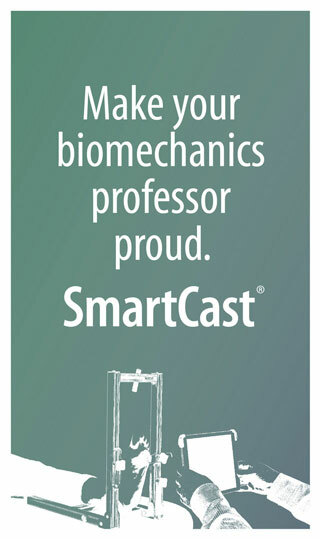 In total, 54 authors (physiatrists, pedorthists, movement scientists, and physiotherapists) from 7 countries contributed. The book is published by the Foundation BERJALAN, whose goal is to improve understanding in the field of foot and gait disorders and the knowledge of pedorthics in Asia. The authors start with a discussion of the changing nature of the field of pedorthics (orthopedic shoe technique). They note that today’s patient is more involved in the process from the request for help through the delivery of the pedorthic/orthopedic shoe, that patient satisfaction is essential, and that more attention to the cosmetic aspect is necessary to prevent shoes from ending up unused in a closet. The authors track the field’s development from experience-based practice to evidence-driven practice and provide detailed information on the working mechanisms and technical aspects of shoe adaptations. After this informative introduction, the authors discuss the “basic knowledge” required for successful treatment. They start with a close look at normal gait, the biomechanical aspects of gait, and the development of gait in children and the elderly. This is followed by attention to important points in the patient’s medical history, the physical examination, and complementary diagnostics in which newer techniques, such as foot-pressure measurements, are discussed. 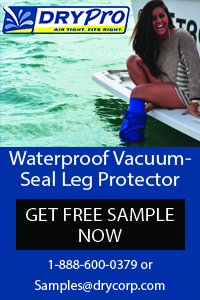 They also cover shoe construction and the various adaptations on and in the shoe that may be required. Not only is the “regular” provision of pedorthic footwear discussed, but, in keeping with the mission of Foundation BERJALAN, the provision of pedorthic shoes in low-income countries is also addressed. The second half of the book elaborates on various foot and gait disorders that occur in children and adults that clinicians see in daily rehabilitation practice. 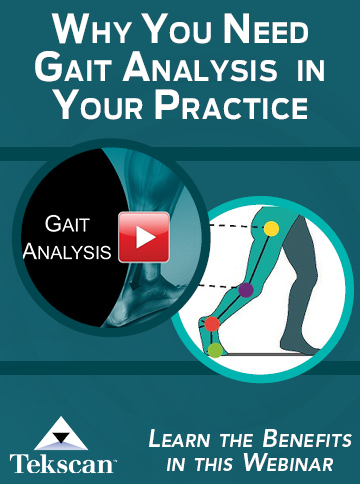 Each chapter starts with a short explanation of the clinical picture followed by a discussion of the effect foot and motion disorders have on the gait pattern in order to build a bridge to possible technical shoe solutions. This construction creates a logical story, again per diagnosis, and also makes it possible to skip parts that might already be known or are not relevant to particular cases. The cover and chapters are embellished with the drawings of Redmer Hoekstra, an illustrator and artist with a fascination for how things work. His curiosity resulted in a unique understanding of the foot and foot disorders from a non-medical background. In conclusion, this book is a must for physiatrists in training, pedorthists, orthopedic shoe technicians, and orthotists, as well as for interested physiotherapists and other specialists. The collaboration among so many different professionals has led to a robust publication about the technical shoe consultation. And, as the revenues of the book benefit the Foundation BERJALAN, purchasing the book (visit www.BERJALAN.org) allows for better collaboration and practice in low-income countries. Translated by E. Halma, MD, physiatrist-in-training, Libra Rehabilitation and Audiology Eindhoven, the Netherlands, and J.A. Haisma, MD, PhD, physiatrist, Spaarne Gasthuis Haarlem, the Netherlands. Used with permission from Nederlands Tijdschrift voor Revalidatiegeneeskunde (Dutch Journal for Rehabilitation Medicine). 2018;40(5):267-268.